With 239 million Americans, (75.6% of the population) using the Internet, according to HubSpot, blogs are no dying trend. Blogs are so instrumental in how we share and ingest information, the famous news/op-ed blog “The Huffington Post” recently sold for 300 million dollars. Although 60 percent of businesses have a business or company blog, only 35 percent actively blog at least once a month, and a whopping 65 percent haven’t blogged in more than a year (blogging.com). What happens when you fill in the blanks? The answer is an opportunity for your business to take the reigns and start, or re-ignite, your business brand online. Building trust with your customer base should be an emotional experience for you and them. Internet guru Seth Godin describes a brand as a prediction of an expectation multiplied by the emotional power behind it. Writing relevant, consistent thoughts turns visitors into readers and readers into customers. Reputation.com, an online brand management company, recently interviewed a cattle rancher for their blog, who describes his brand as something “[that] whenever people spot, they instantly see that the animal is part of my business and, by extension, it represents what my business is all about.” Think of your blog entries as your cattle, being sent out in the world as representatives of your brand worth showing off to the world. Your blog helps thread a personality through your business, making “the man/woman behind the curtain” less cloistered and more approachable. A blog gives visitors a chance to get to know your company and what they stand for in a more informal setting. A blog can also help employees connect internally, offering them insights into the inner workings of the business. SEO is the name of the game when it comes to successful local seo strategy in business today. Following trending topics and utilizing keywords within your industry can have a profound effect on your blog’s placement, and help thread your site up into higher search engine placements. Even if your PR (page rank) is low, targeting popular but neglected trends can pull your website onto the first page of results. 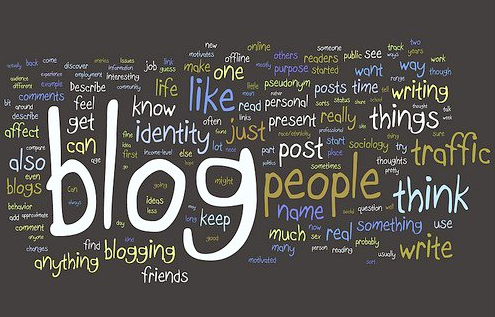 Your blog should be treated as a living, breathing limb of your business. Before the Internet, chatting with the owner of your favorite store would keep you “in the loop” of what’s going on or worth looking forward to. A blog is the living, breathing ambassador that has to replace the friendly store clerk, town gossip, and newspaper boy in one swoop. What does your blog say about you? An SEO marketing wizard and an insurance agent, Paul is an agent for many high-profile clients who want to improve their online reputation and protect the things and people that are near and dear to their heart.